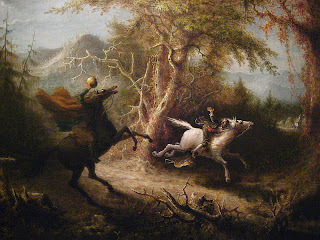 The Legend of Sleepy Hollow by Washington Irving from his collection "The Sketch Book of Geoffrey Crayon Gent." 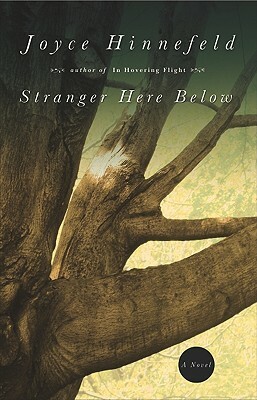 The story is set in the late 18th-century in Tarry Town, a Dutch settlement in Sleepy Hollow. Ichabod Crane, a long and lanky school teacher, is well liked by the villagers. Good thing for him because rather than keeping a regular abode, Crane mooches stays from house to house for a month at a time. Apparently they don't mind having him around because he is quite a gossip. Sounds like just the guy I'd want to put up for a month. He is also, evidently, quite good at telling stories of ghosts and witchcraft, frequently insinuating that he, himself, has often been accosted by ghosts but is never afraid. When Ichabod meets Katrina Van Tassel, he has finally met his match--at least he thinks so. But he's competing against "Brom Bones" Van Brunt, the local bully and a lifestyle to which Katrina has grown accustomed. After she leads him on at a party at her home, then turns him down, Ichabod rides off into the night never to be seen again. Was Ichabod the victim the legendary "Headless Horseman," reputed to be a Hessian whose head was blown off during the Revolutionary War and who roams the countryside in search of his head? Or is he the victim of "Brom Bones" who wanted Katrina for himself? Irving's writing is a dead giveaway as to the time period in which this book was written. Full of description of Ichabod, the valley and even the meal at the party, the story is very slow paced into the wild ride at the end. No gore, no actual violence involved here--just a bit of a scare and a "what-if." Just the kind of story to make you think twice about wandering into the night by yourself. Happy Halloween! And happy birthday, Mom! Teenager Will Hodges is a pretty miserable kid. His mother is dead; he remembers seeing her dead in the water but can't remember anything about what happened. His father has become radically political and heavily involved with a man whose political leanings are so nationalist that he seems he will stop at nothing to convict Will's old friend of murder just because he's not a native citizen. His friends won't have anything to do with him, he's having terrible headaches and nightmares about concentration camps are waking him up almost nightly. But most disturbing to Will are the people he keeps seeing who look familiar to him until he gets closer; then he realizes he doesn't know them but most certainly seem to know him. More and more these people, these "freaks," start showing up...at school, on the street and even in Will's yard. Then one day Will decides that it's time to confront one of these people and is surprised to find that they have been waiting for him to recognize them and they know him from another time in history. They are the Returners and Will, they say, is one of them. Now Will has to a decision to make: will he follow what they say is his destiny or will he choose to break the cycle and do what he knows is the right thing. Although the first 150 pages of the book are a little slow moving, the story really picks up once Will meets the Returns and discovers what they know about his past and what they say is his destiny. Then all of the build up starts to come together as Will is has to decide if there is really such a thing as free will or if all of us are pre-destined to follow a certain path. I don't want to give away too much of the story; it will have to suffice to say that being a Returner is not a pleasant destiny and yet they all seem perfectly willing to stay on the path they have been following for thousands of years. The book is marketed as being for 12-year-olds and up but I think someone that young would not really get the messages this book delivers. My daughter read it in sophomore English and I think that 15- to 16-year-olds would be able to have a terrific discussion of the themes in this story. Be sure to head over to my Gilmore Girls Challenge page and enter to win a gift certificate to CSN stores. I'll be drawing the winner of an $80 gift certificate on Sunday--how's that for a treat for Halloween? Maze Jansen and Mary Elizabeth Cox - two young women from very different backgrounds, both weighed down by the burdens of their mothers - first meet in 1961 in what passes for a liberal arts college in Kentucky. What makes them unlikely friends is that Maze (Amazing Grace) is white and Mary Elizabeth is black in the segregated South but at Berea this is less of a problem than it might have been elsewhere. Maze's mother, Vista, is a single mother, having been left on her wedding night but not before she got pregnant. Life has been hard for Vista and Maze, from living many years with Mamaw Marthie (Vista's grandmother) in the hill country to living with Sister Georgia, the last surviving Shaker. It was while living with Sister Georgia that Maze learned to weave, a skill she flourished at in college and beyond. Mary Elizabeth's mother, Sarah, has spent nearly her entire life getting over the shock and grief of finding her beloved brother's body burned and hanging from a tree. Mary Elizabeth's father married Sarah when she was still a young girl, sure that his belief in God would be enough to help him help her. But she is simply too broken and as he pulls away from her, he also pulls away from Mary Elizabeth who will spend years trying to make him happy, first with music then with her educational prowess. Maze has loved Sister Georgia long before she and her mother moved in the older woman and as soon as Mary Elizabeth meets Sister Georgia it's a feeling she feels as well. Georgia, who grew up as wealthy Georginea, fell in love with a black man as a young girl. She was immediately sent off to Berea where her unconventional opinions soon got her in trouble. It was not until she found the Shaker community that she finally found a home. Hinnefeld has created some very interested and unique characters in Strangers Here Below. Unfortunately, for me it just felt like there were too many of them for such a relatively short book. Maze, in particular, didn't feel as fully developed as she might have been even though we do learn a lot about what goes on in her life. Georgia, Vista and Sarah all had more interesting stories and it was hard to care about Maze. Perhaps if the story had been longer, this could have been fleshed out more. As for the relationship between Maze and Mary Elizabeth, which it seems was supposed to be the basis for the book, it felt more like something Hinnefeld was telling me rather than showing me. I just never felt the bond between the girls which made it hard to understand why Maze continued to reach out to Mary Elizabeth years after they left Berea. All of this sounds like I didn't like the book which is not the case; I did like it, I just didn't love it. Hinnefeld's writing style appealed to me; she created a marvelous sense of place and of a people. I would certainly be willing to read more of her work. "Maze found Sarah Cox so beautiful it hurt her eyes. Unearthly, she'd have said if she'd had the word at hand. More spirit than matter, than lungs and heart, skin and blood. There were depths of sorrow there, but also something about to rise, about to flutter like a delicate wing and fly far away from them all. Like Sister Georgia, who was heavier, more bound to the grass and dusty gound there on Holy Sinai's Plain, but also about to spin off the surface of the earth. Free at last, maybe, but no thanks to God Almighty." As always, Unbridled Books has given me a book that is beautifully written with a unique story line. Their authors always make me think and look at things in a new way. One of the joys of blogging is getting to read books before the majority of people become aware of them. So it's always exciting to get the publisher's emails announcing a great new book and discover that you're already reading it. Such was the case for me a couple of weeks ago when I got Penguin.com's newsletter heralding Washington: A Life by Ron Chernow, which I was reading that day. Barnes and Noble sent an email this week, linking readers to their list of the top 100 books sold so far in 2010. Not surprisingly, blogs favs MOCKINGJAY, THE IMMORTAL LIFE OF HENRIETTA LACKS, and THE PASSAGE are on the list. I actually haven't read any of these but I do like to think that many of you played a part in bringing these books to the reading public's attention. I see that my favorite indie publisher, Unbridled Books, has two books making waves on the Indie Next List. Safe From The Sea by Peter Geye is one of their October Great Reads and Stranger Here Below by Joyce Hinnfield (which I just finished) is one of their October Notables. 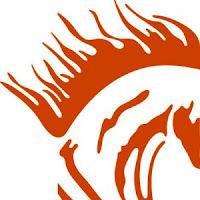 Kudos to Unbridled Books! I'm starting Outside The Ordinary World by Dori Ostermiller for a TLC Book Tour. What are you reading this week? I'm sure a lot of you have seen CSN Stores around the blogosphere; they've been terrific about offering giveaways at many sites. They have over 200 online stores that sell everything from drop leaf tables to dog beds to handbags (45 pages of these alone!). I had never heard of CNS stores until the first time I say a review for one of their products on a blog. I'm always hesitant to order things online from a company I'm not familiar with but I've read nothing but great reviews about the CSN products and service. So I'm ordering myself a birthday treat and I'll be sure to let you know if I'm as favorably impressed as everyone else seems to be. The question now is what to order? 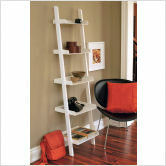 The bookcase for my living room I've been wanting? A new reading chair for my bedroom? Or perhaps one of those handbags? I'll let you know soon! AND...if you'll head on over to Gilmore Girls Reading Challenge, you have the chance to enter to win and $80 gift certificate from CSN Stores! Rose and Ruby--twins born to a frightened teenage mother who disappears from the hospital shortly after their birth. Adopted by the nurse who helped deliver them and her husband, Lovey and Stash Darlen. Raised in a rural Ontario community where they are known simply as "the girls." At 29, Rose has decided to write her autobiography and both girls are hoping to survive to their 30th birthday. What makes them special? Ruby and Rose are the longest-living craniopagus twins, twins who are joined at the head. For Ruby and Rose, that means that they have hundreds of veins in common that make it impossible to separate them. "I have never looked into my sister’s eyes. I have never bathed alone. I have never stood in the grass at night and raised my arms to a beguiling moon. I’ve never used an airplane bathroom. Or worn a hat. Or been kissed like that. I’ve never driven a car. Or slept through the night. Never a private talk. Or solo walk. I’ve never climbed a tree. Or faded into a crowd. So many things I’ve never done, but oh, how I’ve been loved. And, if such things were to be, I’d live a thousand lives as me, to be loved so exponentially." Although they are twins, the twins are as different as can be, their physical appearance as well as their personalities. Ruby is the pretty one but her body did not develop to normal proportions and she must be carried all of the time by Rose. Rose has normal proportions but her face to stretched to reach the point where the girls heads are conjoined and has the weight of carrying her sister for so many years begins to take its toll, one of Rose's legs has shortened. "Ruby is my sister. And, undeniably, my child." Rose likes baseball and always wished to be a writer. Ruby loves trashy television has a passion for collecting Indian artifacts she finds on the farm. Rose had wanted to go to college but Ruby didn't want to--one of the many compromises the girls have had to make in their lives due to their unique situation. But in so many ways they are very normal--they've attended school, hold part-time jobs, and built a network of friends. The story is told from both girl's perspectives. Rose is the primary narrator but Ruby has reluctantly agreed to write some chapters to be included. Because of the way the girls are attached, neither can see what the other is writing. Rose is introspective, Ruby is outspoken--the one to drop the bombshells. Since each doesn't know what the other has written, they are often writing about the same thing which really points up their very distinctive voices. Lansens has crafted two marvelous characters that I will not soon forget. It was often hard to remember that the twins are conjoined, their points of view are often so different and their lives so very much their own. But my favorite characters were Aunt Lovey and Uncle Stash who loved the girls unconditionally and had a wonderful relationship with each other. This was my book club selection for October and I need to thank Mari for bringing it to the club's attention. A huge thank you to Lori Lansens for speaking with us about the book. It was interesting to learn about the development of the book--Lansens' interest in conjoined twins, her husband's Slovakian ancestry, and the way she felt attached to her own children when they were born. I wanted to know about how girls' different personalities. Lori told us that her husband says that they are the two separate sides of her. Like so many authors that we talk to, Lori says that writing is a job that she works at everyday while her kids are at school. We asked if she was working on anything new and she said that she is but that she never talks about the books that she's working on. I'm looking forward to reading it when ever it's done but in the mean time, I'm going to be picking up her other books. Usually I start a book review with a synopsis, but it hardly seems necessary in the case of this book. It's a biography so it almost goes without saying that the book begins at approximately the time of George Washington's birth and ends at approximately the time of Washington's death (although Chernow does explore Washington's legacy after his death briefly). The highlights of what happened in between those two events are largely known as well: Washington married the widow Martha Custis, he served as the Commander-in-chief of the Continental Army and was the first president of the newly formed union. But this book is 817 pages long so you know there is much more here than the basic details of Washington's life. Chernow has drawn extensively from Washington's own papers and correspondence, as well as other biographies and the writings of other important players of the time, to craft an incredibly detailed look into Washington's life, thoughts, and motives. It's my custom to take notes as I read, but inside of 200 pages I realized that I would never get through this book if I continued to do that--there is just too much information that was new to me in this book. In fact, all of that information made it almost impossible to get through the book; I could only realistically absorb 15-20 pages at a sitting. George Washington was not raised as a pampered child. In fact, his mother, Mary, drilled habits of thrift and industry into young George, particularly after his father died. She was a hard woman and Chernow says that there was always a "cool, quiet antagonism between Washington and his mother." Chernow believes that Martha's treatment of young George created a man who was "overly sensitive to criticism and suffered from a lifelong need for approval" and that "George became an overly controlled personality and learned to master his temper and curb his tongue." It was interesting to me to watch Washington, who liked his aristocratic airs and fine things, went from being a wealthy planter, interested primarily in accruing wealth and deeply attached to the British way of life, become a leader in a revolution. His disillusion with with colonial rule began with his military service. Because he lived in the colonies, he was never able to become a regular with the British army which rankled him. He became further frustrated by his reliance on British brokers to purchase goods on his behalf and to sell his own.crops. He became convinced that he was inferior goods were purchased for him and that he was not getting full price on his crops. But much of this reliance on British brokers was the planters own fault; they relied heavily on the brokers for credit and Washington was no exception, frequently running up enormous debts while continuing to order extravagant goods. Reading this was like reading about current events--clearly we didn't learn a lesson regarding credit from our forefathers Curiously, the very war that had brought Washington so much fame (the French and Indian War) and also resulted in massive debt for the British, a burden the leaders decided to shift to their North American subjects which would eventually result in the "historic anomaly of a revolution inaugurated by affluent, conservative leaders." Washington's dealings with his slaves and his feelings about slavery were also interesting. On the one hand, he was a better than most slaveholder--he trained a lot of his slaves for trades, allowed them to fish, have gardens and keep their families together. On the other hand, many of them lived under horrific conditions, he was strongly opposed to allowing blacks into the army during the revolution and he didn't free his own slaves until after Martha's death. Washington, an exceedingly hard worker, grew frustrated with his slaves because he couldn't get them to work as hard as he thought they should. The fact that there was no incentive for them to work harder during the long hours that they were working seemed to escape him. The view I had of Washington being a great soldier was certainly altered by this book. His first ever foray as the leader of a group of soldiers resulted in a massacre and, to be honest, a great many of his Revolutionary War decisions were even worse decisions. And yet, Washington frequently made brilliant decisions and made excellent use of the spy network he developed. He was also fearless in battle--never a leader to sit at the back of the battle and observe, Washington always rode straight into the fray, something that his soldiers found inspiring. As a leader, Washington was often criticized during the war by his own officers and aides, members of Congress and the general populace. To be fair, Washington was sometimes indecisive but he was also hampered throughout the war with undisciplined troops and a Congress that was unwilling to give Washington the necessary support. Fortunately for Washington, he was an even better politician than he was soldier. He was masterful at getting what he wanted, often without even appearing to have worked to effect change, and he was not above stooping to less than scrupulous means to come out on top. In that way, politics of the time were not much different that they are today. When we think back on the founding fathers, we generally think of them as being of a like mind, which the single goal of creating this country. But there were just as many differences of opinion, just as much backstabbing and just as much in-fighting 250 years ago as there is now. Thomas Jefferson, for example, was not at all a fan of Washington's and even stayed away from Washington's memorial service after his death. I'm not one to keep a lot of the books that I have read - the classics, the books I truly loved, and the books I feel I'll refer back to in the future being the exception. This is one of those. I can't wait to pass it along to my dad and get his opinions. Having been an American History teacher for 38 years, he may not have as much to learn from this one but I'm sure he'll enjoy it. And now that I've read this one, I'm eager to pick up other biographies by Chernow. Thanks TLC Book Tours for including me on this tour! Happy Sunday! What a beautiful day it is here. I've got the windows all thrown open, bedding airing out and I'm craving fried apples. I think a trip to the apple orchard is in order this week. I've hit a point in my reading where I'm all caught up on what needs to be read and I'm looking forward to being able this week to kind of pick a book by the eeny-meeny-miney-mo method. The winner of a copy of The Man Who Loved Books Too Much is Sarah of Sarah Says. Congratulations, Sarah! Oops! I almost forgot--I promised a second copy of the book! The winner of that copy is Jess of Tangled Up In Blue. Congrats, Jess! "believed to occur when the soul or spirit, after the death of the body, comes back to life in a newborn body. This phenomenon is also known as transmigration of the soul or metempsychosis." For Pump Up Your Book Promotions, I recently read "The Hypnotist" by M.J. Rose (my review here), the third book in the Reincarnationist series. Out of my comfort zone, to be sure; but I'm always in search of something new. Imagine my surprise, a week later, to pick up the book my daughter brought home from English class and discover that its story line used the tool of reincarnation to explore destiny versus free will. My review of this book, "The Returners" by Gemma Malloy, will be coming soon. This book will make you hope that reincarnation is not real! Thanks to all of the bloggers who love Young Adult books for convincing me to pick up the books my daughter brings home to read along. There are really some terrific books out there that explore very adult ideas in ways that are relatable for young people. 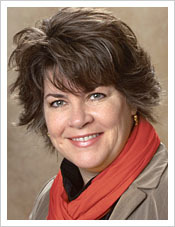 Sandra Brannan Is Coming, Sandra Brannan Is Coming! Sandra Brannan, author of "In The Belly of Jonah" is on a tour of the country that's had her all over the midwest but this weekend she's going to be in San Francisco. If you've read this blog long enough to know that I live nowhere near San Francisco, right about now you're wondering why I'm shouting "Sandra Brannan is coming." Because next weekend she's following up a trip to San Francisco with a trip to Omaha. I love my city but even I have to agree that Omaha after San Francisco could be something of a let down. Saturday, October 23, 1 p.m.
Saturday, October 23, 5 p.m.
For more information on Sandra, including how Sandra will reward one teen blogger with a trip to the 2011 Book Blogger Convention or how to get Sandra to speak with your book club, check out her website. Which leaves me wondering how to convince my daughter to start writing a blog--so I can tag along! Julia and Valentina are "mirror-image" identical twins, jobless college-dropouts. Julia, in particular, seems perfectly content to spend the rest of her life living in the suburbs with her mother and father and Valentina seems unwilling to do anything contradicts Julia. Across the ocean, in London, their Aunt Elspeth, and aunt they have never seen, has died. The twins only learn of her existence when they receive a letter from Elspeth's barrister advising them that they have inherited her flat adjacent to Highgate cemetary. The cause of the split between Elspeth and the twin's mother, Edie (also identical twins) seems to be the result of Edie stealing husband Jack from then fiancee, Elspeth.There are just two conditions. The twins must live in the flat for one year before they can sell it and their parents cannot step foot in it. The twins head off to London. The building the flat is in borders Highgate Cemetery and is also home to Robert, who is writing a book on the cemetery and was Elspeth's lover, and Martin, whose obsessive compulsive disorder is so extreme that his long-suffering wife has left him. Robert is immediately taken by Valentina's resemblance to Elspeth and Julia soon befriends Martin. Valentina becomes determined to break away from Julia and begin to live her own life and soon finds that she has an unlikely ally--her aunt's ghost. Elspeth has spent months learning to control her spirit self but the question becomes why. What exactly is it that Elspeth wants? I may be the only person who has yet to read "The TIme Traveler's Wife," Niffenegger's debut novel for anyone else out there who has yet to read the book. It is so beloved that it would be almost impossible for this book to live up to that one. And it didn't for some readers. I knew I was going into this book with much more realistic expectations. Unfortunately, I was no less disappointed. The premise of the book certainly intrigued me and I liked the way Niffenegger explored the idea of "death" in so many forms. Niffenegger's writing is evocative and atmospheric--there is a sense of gloom that appropriate pervades the book. Martin was by far my favorite character. His disease was so well written and his circumstances so sad. That's also part of the problem with the book. I really felt like I should care at least as much about what happened to Valentina and Julia. The way Elspeth helped Valentina escape Julia would have had a far greater impact. And that truth behind what happened between Elspeth and Edie? I really didn't care by the time I got to it, although it was surprising. One reviewer called the book "bewitching" but I'm more inclined to agree with the reviewer that said the plot went from "dull to silly." Now I'm left with the question, do I bother with "The Time Traveler's Wife?" Celebrating 200 Followers With A Giveaway! In celebration of the paperback release October 5th of Allison Hoover Bartlett's "The Man Who Loved Book Too Much," Riverhead Books has generously offered to give one of my readers a copy of the book. Since I just noticed that I've hit 200 followers, let's throw in a second copy of the book, shall we? Giveaway is open to U.S. residents only. Please leave a comment with a way to contact you. I'll announce the winners this Sunday in my Sunday Salon post. Mel Snow, working for a textile company that provides the textiles to casinos and hotels in Nevada, is sitting in a roadside bar/casino when she first meets Toby Warring, a magician who can pull roses from thin air but doesn't always seem to have full control over his magic. Little more than 24 hours later, Toby and Mel are married and soon find themselves in Las Vegas, where Toby hopes to make it big. "I married Tobias Warring in the Silver Bells All-Nite Wedding Chapel in Las Vegas. It was a conventional start to our unconventional story. And it was an attempt to conjure something solid from the wind-scattered sands." Mel know that there are a lot of magicians trying to make it in Vegas but she's seen Toby do marvelous things and knows that he's different--his magic is real. But both Toby and Mel are searching for something and what Toby's searching for may just prove to be more than the couple can handle. This book grabbed me on the first page...and then it kind of lost me for the next few pages. Interest in the characters kept me reading. I wanted to know more about what kind of people find themselves willing to marry a stranger and what Mel and Toby might each be looking for in the desert. "For Toby, it was a way to conjure something permanent into his too-malleable world and perhaps, I wondered, to replace someone he'd made vanish. For me, maybe it was a way to fill a hole torn by my brother's defection - but that was a story I had yet to tell my husband." Yes, indeed, Toby had made his last assistant vanish and he's desperate to try to find a way to bring her back. Mel is searching for her brother Max, a water person, who may or may not be dead. And trying to find those answers helps drive the book to find out answers to greater questions, such as is love real or just an illusion. "Like a fish in a tank, I had grown used to living without natural light since arriving in Vegas and mistook the city's shrunken castles and palaces for the real thing. I was was drugged with the lazy promise of simple days, of conveyor belts that moved me, slots that might make me rich, and around-the-world trips that were just across the street." Amsterdam, in particular, came alive for me. And the story is unlike any other I've read. The reviews for The Art of Disappearing rave about the story but, to be honest, my initial reaction to the book stuck with me throughout. I would be pulled in and then I'd lose interest. There were a lot of characters in the story and they began to clutter up the story of Toby and Mel for me. I have to admit that the idea of "real" magic was a problem for me; a problem other readers may not have. To add to my struggle with the book, I never really felt as if Toby and Mel were in love; for example, Mel refers to Toby as "the magician" more often than she refers to him by name. I wanted to like the book more, I really did. In the end, given the raves for the book, I was left wondering if I had missed something. Other people certainly have different opinions--for more of them, check out TLC Book Tours for all of the tour reviews. Last month my bookclub, The Omaha Bookworms, got the chance to do a Skype interview with Jennie Nash and talk about her book, The Threadbare Heart. Jennie is such a delight to talk and even put up with us when we got off topic on occasion. Jennie wanted to know which character our group liked the most and it was pretty much unanimous that Eleanor was our favorite character in the book. We all liked the relationship between Lily and Eleanor and the fact that when it came right down to it, Eleanor was jealous of Lily. Because so much of her book The Last Beach Bungalow reflects Jennie's own experiences, we wanted to know if the same was true of this book. At first Jennie said there really wasn't much that came from her own life except for the character of Gordon who was somewhat loosely based on the man who just married Jennie's mother. But the more she talked, the more Jennie confessed that there was some element of her own thought process in the book. The seamstresses in the group wondered if Jennie was herself a seamstress but she confessed that she was not. She said that she had gone into a fabric store looking for samples of fabrics to get some ideas, however, and found a wonderful man there that really made her understand how fabric speaks to people. One of our members wanted to know if Tom really had not had an affair or if that was a lie to make Lily feel better. Jennie said that he had not but laughed at our midwest preoccupation with the fact that the woman Lily fears he's been cheating with never wears a bra. One of our members, who couldn't be with us, has also experienced a home fire and said that she, too had made lists after the fire just like Lily did. So we wondered if Jennie knew someone who had lost a home in a fire. She said she didn't but just felt like that was something that she would do if she had that experience. Because Lily suffers from migraines, we asked if Jennie did as well and she said that she has suffered from quite severe migraines for years. It's what lead her to write the non-fiction book that she is working on e-publishing right now. Before the group met, I had a chance to talk to Jennie about this and she said that it's a whole different thing to go this route over traditional publishing and she's learning a lot. We always have to know about what an author is working on now and Jennie confided that she's got something very different in the works. 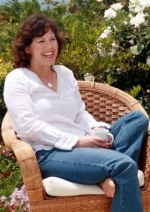 When she approached her editor with another book idea, her editor suggested that she go bigger this time, as opposed to the smaller in scope novels about families that she has done up until now. She's got some very interesting ideas for it--boy, did we get off topic talking about one of them! 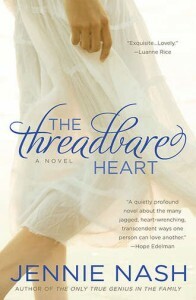 I think we'd all agree that The Threadbare Heart made a great book club selection; we certainly found a lot to discuss. 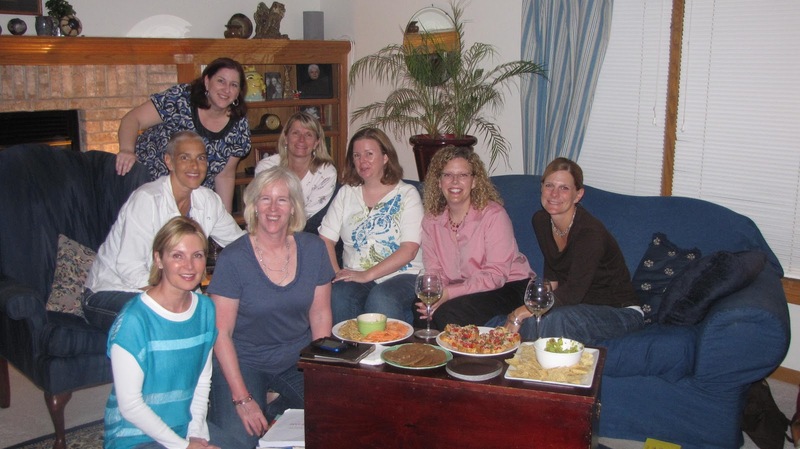 And if your book club likes to find books that will allow you to speak with the author, Jennie makes a terrific guest to the party! Another gorgeous day -just the kind of day that makes fall such a wonderful season! Of course, having the windows open and things starting to dry out can play havoc with allergies and for me that meant a real struggle with my eyes being dry yesterday. So hard to read--my reading glasses were not working for me unless I held them clear away from my eyes but I couldn't read without them. Argh! Even though my kids seemed to think it was "talk to Mom" day and I had to give up my reading perch late at night for some girls to watch movies, I still managed to read three books (766 pages) during the readathon yesterday. Not nearly as much as some of the participants but I'm pretty happy with it given the day I had! One of these days I'm going to figure out how to work in time for some of the fun stuff that's going on as well. This week I'll have reviews up for The Art of Disappearing by Ivy Pochoda and Her Fearful Symmetry by Audrey Niffenegger, a book giveaway and a review of my book club's talk with Jennie Nash about her book "The Threadbare Heart." I'll continue working my way through Washington: A Life by Ron Chernow. It's certainly interesting but it's not the kind of book I can sit down and spend hours with. 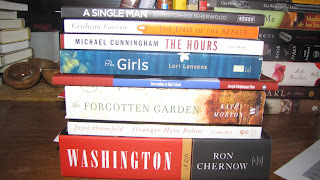 After that my plan is to finally finish Kate Morton's "The Forgotten Garden," which my book club read for August. What are you reading this week? Going into the 18th hour of the readathon. If I'd been doing this right, I'd have read something like 1000 minutes. Instead I've read about 580 minutes. Everyone of my children seems to have decided that if Mom's just sitting around, it must be time to talk. At the age my kids are, you don't pass up a chance to do that so the reading just had to wait. I have managed to finish two books, Elizabeth Barrett Browning's SONNETS FROM THE PORTUGUESE and Lori Lansen's THE GIRLS, for a total of 446 pages. 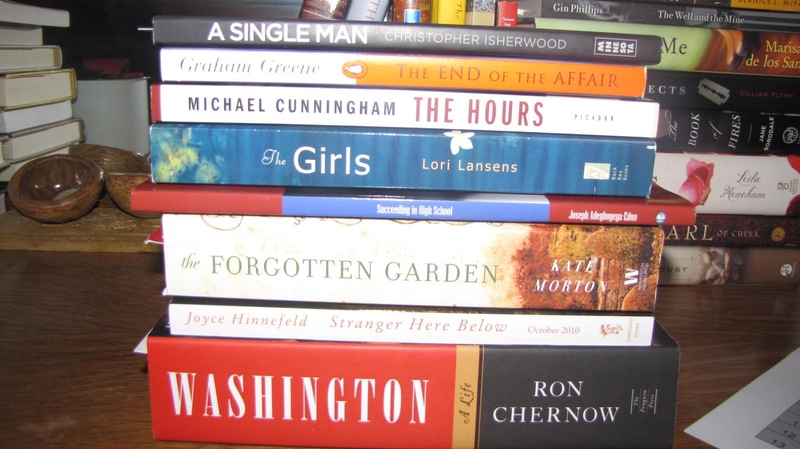 Next up is either A SINGLE MAN by Christopher Isherwood or THE HOURS by Michael Cunningham. I'll finish up the readathon with a re-read of E.B. White's CHARLOTTE'S WEB which I'm reading for a couple of challenges this year. And, of course, the requisite snacks. Why do we think that if we're sitting on our rear ends all day reading, we need to eat more than we would otherwise? A reward? Surely I don't need to be rewarded for doing something I've chosen to do and love doing! 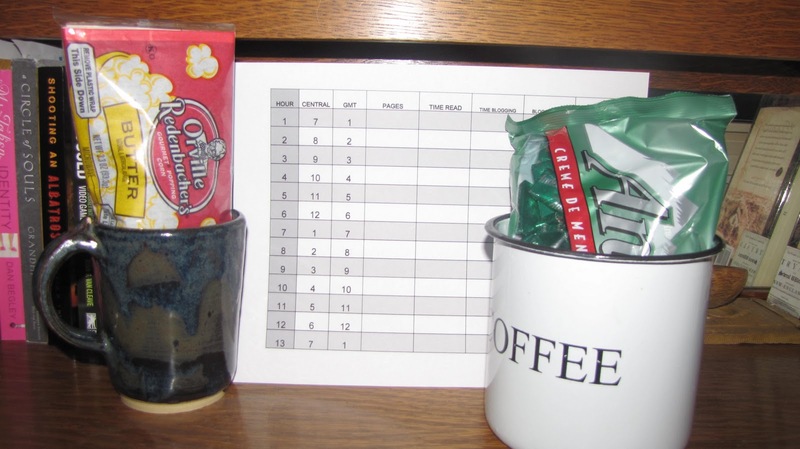 But I'm still going to enjoy my popcorn and chocolate! Thanks to Trish of Love, Laughter and A Touch of Insanity for the template for keeping track of what I've done during readathon! Please join me in welcoming Naseem Rakha, author of "The Crying Tree," to Lit and Life. 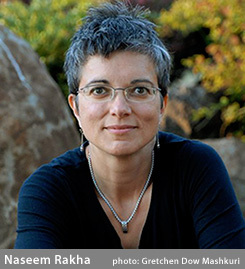 Naseem is an award-winning author and journalist whose stories have been heard on NPR’s All Things Considered, Morning Edition, Marketplace Radio, Christian Science Monitor, and Living on Earth. She lives in Oregon with her husband, son, and many animals. When Naseem isn’t writing, she’s reading, knitting, hiking, gardening, or just watching the seasons roll in and out. The capacity to forgive the unforgivable has long intrigued Rakha. She has witnessed it in her work as a teacher and consultant for Native American tribes, as a mediator in the clean up of the nuclear site that created the Nagasaki bomb, and as a reporter covering state run executions. 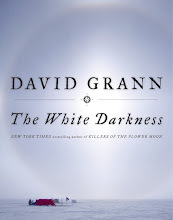 1.Was there a particular incident that, more than any other, compelled you to write this book? On the night of September 8th, 1996 I stood on the grounds of the Oregon State Penitentiary watching as a group of rowdy drunks counted down the final seconds of a man’s life. Inside the one hundred year old walls of the prison, a man was about to be executed. He was to be the first man to die at the hands of the state in more than thirty years, and these people, popping open bear cans, and throwing firecrackers, couldn’t have been happier. I was reporter, and I was ashamed. Not because of these people, and not even because of what was happening at that moment inside the prison. But because as a reporter I knew I would fail to convey the gravity of that moment in my story the following morning. I simply didn’t have the elements for a good story. The condemned man would not take interviews. Neither would the victim’s families. All we had as journalists were scripted statements from prison administrators and state attorneys, and camera footage or descriptions of the props used during an execution. The room, the gurney, the box of tissues waiting inside the witness booth. It was not, I knew, enough to convey the importance of this moment: its emotional impact, and the reverberations it would set off in so many lives. One day, I promised myself, I will tell the full story. Crime, punishment, the death penalty. It would be a story that looked at all points of view, the victims, their families, the attorneys, the condemned, and the men and women who must to do the job of killing the condemned. The Crying Tree is that story. 2. After writing the book and talking to all the people that you have about finding forgiveness in these horrible situations, do you feel like you have a good grasp of how people are able to forgive? Do you think you would ever be able to find forgiveness in this kind of situation? In general, I have learned, people do not come to forgiveness quickly or easily. It is a struggle, a fight between ones heart and mind. Intellectually, people often know it would be good to forgive. That their lives would somehow be freer, less fraught with the agony that hate and the desire for vengeance exact. But the step from intellectual meandering to the heartfelt exhumation of hate, is a large and is usually preceded by a growing awareness that in this life there is nothing to be done about the past. Nothing can re-shape it, or change it. Nothing can give us back the things we have lost. And in this recognition, people come to understand that they have two choices: to continue to live a destructive life, focusing on loss and what they can do to avenge that loss; or, a constructive life that builds on the hope and beauty that still surrounds them. These are the people we gravitate toward in a room. They walked through a fire, and came out more whole and more healed. They know who they are, and have a sense of serenity and purpose that draws people to them. Would I have the presence of mind to forgive if someone I loved were murdered? Or not even that. Perhaps an unintentional death - a car accident, say, or a hunting accident? I would like to say yes. But I can not. I have never been touched by that fire, and so don’t know if I could withstand the flame. But I do know that I have learned a great deal from others as I researched The Crying Tree, and I continue to learn from my readers as they share their own stories of loss and recovery. 3. I read on your website and blog that you had met with a prison book club. How did that come about? The meeting in the men’s prison was arranged by a group called Partnership for Safety and Justice: http://www.safetyandjustice.org/ One of the inmates had contacted the group asking if they could possibly ask me to come talk. The men wanted to know more about forgiveness - what brings people to it - and how do people go about forgiving themselves. It was emotional night. So many mistakes. So much pain. So much loss. These men will never leave the prison. Yet, here they were trying to figure out how they could possibly make life better for the people they once harmed, as well as find a way to accept themselves. I left feeling humbled, and sad, and hopeful all in one. Going into prisons has given me the opportunity to learn about compassion, and how if I can feel it within those walls, I surely have a duty to express it outside those walls as well. 4. I see that you're reading "The Book Thief" right now and that you have a wonderful list of favorites on your website. I've spoken to some authors who say they can't read while they're writing or it clutters their minds with other writer's styles and ideas. Did you find that you were able to read while you were writing the book? Actually, I finished the Book Thief quite a while ago. Wonderful book told from a wonderful point of view: the angel of death. Now I am reading Waiting for Columbus, by Thomas Trofimuk. Waiting was recently chosen, as was The Crying Tree, for the United Kingdom’s most influential book group, kind of the Oprah of the UK. It is a great read. I find, however, that when I am in the midst of writing, I have no time to read. It’s simply impossible. When deep in writing, there is only writing. It is a kind of disease. Right now I am coming off of a major book tour and so have had time to pick up others’ works and have their voices in my mind. In the coming weeks, though, I expect this to change, and all these great books I have on my shelves will simply have to wait until I come back up for air. 5. I know some authors work by a very structured schedule and others write as the muse strikes; some let them take the story take them where it will, while others have a clear outline they work from. Can you please tell me readers a little about how you work when you're writing? I do not create a detailed outline. Instead I create building blocks. First chapter, last chapter, mid-crisis chapter. These are like buoys, places to aim for. After I have a first draft I create a detailed outline of what I have written to see if it works, where I am redundant, what needs moving around, or just simply put to death. Most of my writing takes place in the morning. I wake early, write, exercise, then, once I have my son off to school, write some more. 6. Can you tell us about your work space? I work where ever I am. If I am in the car waiting for my son to get out of school, that is my workspace. Coffee shops are good too. As is my kitchen counter, my dining room table, my living room chair. I like to have music on - and choose music that will elicit specific moods. I create playlists for the books I am working on. I listen to these playlists a lot. While writing, while driving, while cooking. They trigger scene and emotion. They stimulate words. 8. Do you have any guilty pleasures? 9. What has been your reaction to all of the accolades you've received for this book, including being chosen as a Target Breakout book? First, it always amazes me when people say they have read my book. I understand what an honor that is. There are literally hundreds of thousands of books to choose from, and of course, millions of other ways to occupy ones time. So that when people say they have read my book, then take time to write me or even comment on amazon or other review sites, I know and appreciate what a gift that is. Knowing that, I have to fight a fear reaction - can I write a book that is equal to The Crying Tree? I think I can, and am, in fact working on that now. 10. You've done so many things in your career. Now that you're a publisher novelist, do you feel that you're more of a reporter still or do you find yourself wanting to write more books? I want to write stories. If some of those stories are non fiction, that is fine. My goal is to tell stories that get people to think and to feel things they may never had other wise. Thanks so much for taking the time to share with us! What a glorious weekend we've had here but the cooler temps really did drive home the point that fall is here. I think it may just be time to get out that fall decor, maybe even a few pumpkins and witches! I haven't been getting nearly as much reading done this weekend as I usually do. Mini-him arrived early yesterday and spent the whole day with us before heading back to his new digs after the evening football games had wrapped up. He's only an hour away but I do miss having him around and it was great to have his friends here for the evening as well. I'm reading To Kill A Mockingbird with Molly, of The Bumbles and really wondering why I've never read it before. I love the movie and it was hard to get those images out of my head until I started hitting passages that weren't in the movie. I'm also reading Washington: A Life by Ron Chernow for a TLC Book Tour. I'm learning so much but it is slow going. The fall edition of Dewey's 24 Hr Read-A-Thon is coming up this weekend. I'm signed up to do it again and hoping that I can get enough of the Washington book done before that so that I can treat myself to using that time to read some other things. I've got some books started that I'd like to finish still, my October book club selection to read, and I'd love to get another couple of books read for review. Technically, The Cailiffs of Baghdad, Georgia is not a book I just found this week. I've seen it around the blogosphere and the author, Mary Helen Stefaniak, was the host of one of the panels I attended at the Omaha Lit Fest, where she talked about the book. But Thursday I had the great pleasure of attending a reading by Stefaniak at one of our local independent book stores. I brought my daughter along for two reasons: 1) I think it's good for a non-reader to see other people enjoying books and 2) as I told her, when we get a known author into town, we should make sure they are well-received so that we can get more authors to visit Omaha. Imagine how silly I felt when the first thing that Stefaniak said was that she is a writing teacher at Creighton University. In Omaha. Where she lives. Stefaniak has a great sense of humor, which really comes out in the book, and an ease in front of audiences which made the evening great fun. I'd passed on buying the book at the Lit Fest but I couldn't resist it again so I'm now the proud owner of a signed copy and cannot wait to find time read it. Now the wheels are really turning in my head. 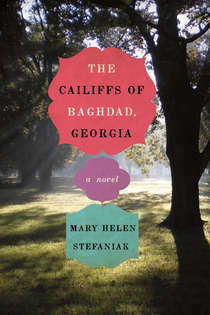 I'm envisioning convincing my book club to read The Cailiffs of Baghdad, Georgia and having Stefaniak join us.